There are some places in the world where you just do not, under any circumstances, break the law unless you are willing to take the risk. 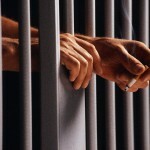 As they say – don’t do the crime if you cant do the time – and none of these prisons are where you to do any time at all. Seriously. 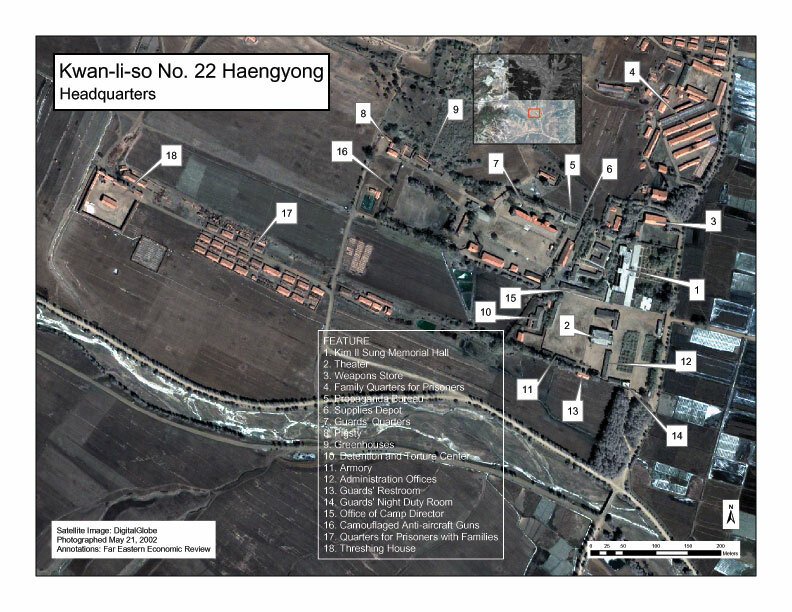 Camp 22, located in north-east North Korea, on the border with Russia and China, is a prison labor camp for political offenders, whether men, women or children. ‘Kwan-li-so’ is Korean for ‘education’, to address the political nature of the camp and reminiscent of the Soviet re-education camps of the past. Some have called it the ultimate dungeon. Guards treat inmates as sub-human, with one former prisoner saying that life at camp 22 is the slowest death you can imagine. Inhumane experiments are conducted on all people including newborn infants. Women are not allowed to scream while giving birth to babies if they do guards will beat the pregnant women until she stops screaming. When the baby is born if it starts crying the guards usually smother it to death or leave the baby face down on the ground to die. If the baby happens to survive it must endure the harsh conditions the mother must endure. An estimated 1,000- 2,000 prisoners die annuallyfrom hunger, beatings, and executions. The Pol-e-Charkhi Prison in Kabul operates within the structure of the interior ministry and is supervised directly by the security headquarter of Kabul. Until recently, the prison was headed by Mawlavi Sharafoddin, who under the name of religion embezzled as much as he could, leaving little for� the facility itself. Unlike Sarposa prison, which houses many political prisoners going to or coming from Guantanamo Bay detainment area, this jail is largely populated by non-politicals � criminals, shop owners and other working class people. Routine physical abuse, poor nutrition and abysmal conditions are all features of life in Pol-e-Charkhi. This prison was also the site of mass murders committed by the Afghan government during the communist era – one moving story can be found here. Torture, hangings, beatings, axe chopping are an everyday occurrence at this unforgiven place. The year 1980, marked the gloomy event when Rifa�at Asad military shot down all 500 inmates in the prison the worst prison massacre the world has seen to date. Guards are given almost limitless power in what they can do to prisoners and death can be the ultimate price for traitors of this land. Guards are often known to beat their inmates enough just before they go unconscious then drag their bodies on the ground until they died. The prison has a chronic overcrowding problem, housing 1,600 inmates in facilities designed for only 600. Up to five prisoners sleep on the floor, without mattresses, in four square meter cells. They defecate in plastic bags and urinate in bottles. The corridors, littered with several days’ worth of garbage, are often flooded by sewage. The prisoners typically sleep on the floor, are subject to prolonged and frequent lock-downs and they are frequently tortured. There are no medical records for prisoners, medicines are scarce and medical staff is only called in after an inmate has died. Details in this article – link. In the Venezuelan prison system, there are 25,000 prisoners housed in facilities designed for about 15,000; and with roughly one-third of Venezuela�s population below the poverty line, jails like Sabaneta are stuffed. Some prisoners are forced to sleep in hammocks strung up in narrow pipe-access corridors, while the corruption of the system allows inmates with more power and money to attain rooms with more space. Combine this with an understaffed guard detail of about one guard to every 150 inmates, open corruption and violence among the guards and inmates, and the result is a prison with no care and little law. 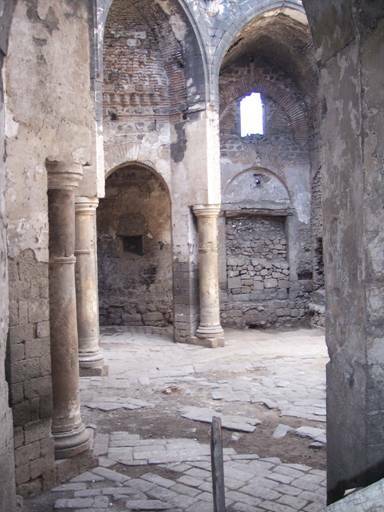 Turkish prisons certainly have a shady past, to say the least, and Diyarbakir is no exception. From incarcerating children for lifelong sentences to overcrowding to sewage-flooded hallways, the prison redefines fear and hatred. There is no love lost between guards and prisoners, but a 1996 incident hints at a brutal authoritarian rule that leaves no inmate safe. In what one prisoner described as, �a planned massacre,� an attack on 33 prisoners resulted in 10 dead and 23 injured, nine of which were left in critical condition. An investigation revealed a startling possibility that the guards masterminded the attack, which featured guards and police in full riot gear and equipped with batons and truncheons severely beating the prisoners. This really is like something right out of the movie Midnight Express. Stabbings, beatings and brutal treatment from prison guards characterize this American prison. 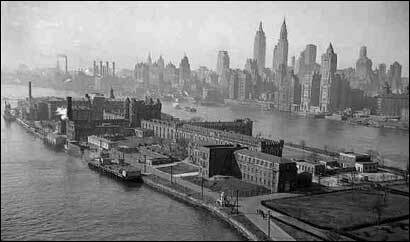 If you are really unlucky you may get the double bill, with a stay at Manhattan’s Central Booking facility. The “Tombs” jail as it called dates back to 1838 and, although the structure has been replaced several times, the ambiance of the basement prison doesn’t seem to have changed that much. All the inmate stereo-types, intimidation, gang violence and most else that you see on the movie and TV scenes actually happens here; Rikers Island embodies all those other big American jails that house the really bad violent offenders as a very bad place to be. Known as the �Bangkok Hilton�, Bang Kwang is Thailand’s central, high-security prison for men. It is understaffed, overcrowded, and filled with inmates who struggle with insanity as they spend the first months of their sentences chained in leg irons. This should be incentive enough to abide by the law when in Thailand but apparently Bang Kwang is highly international and has a significant number of foreigners who took the wrong chance in the wrong country. This link is an interesting story of an life in Bang Kwang. 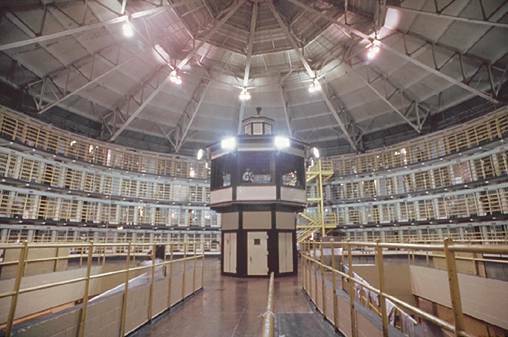 ADX was designed to replace Alcatraz in 1963, and when it opened in 1994 it took imprisonment to a whole new level. 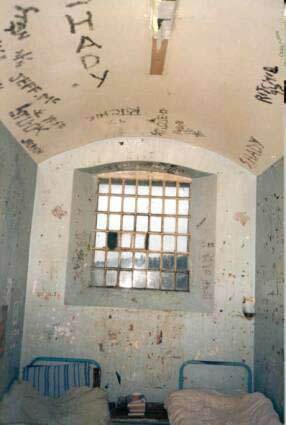 The prison strictly enforces repressive techniques of isolation and sensory deprivation. Those incarcerated are only allowed out of their cells for 9 hours each week, and all prisoners are required to eat, sleep and defecate in their cells. They even go so far as to severely limit the amount of sunlight and artificial light received by inmates, and it�s described as being locked in your bathroom for 22 hours a day. Isolation is perfected here – only a handful of hours every week are spent in the company of others, which is what makes this the worst prison. There is almost complete and total lack of human interaction. The steel and cement cages effectively destroy any possibility of communication between the prisoners, and even contact with guards is extremely limited. There is almost no fresh air, let alone sun in this blockaded prison. Carandiru is Latin America�s largest prison, and Brazil�s most notorious�especially since police massacred 111 of its inmates during riots in 1992, a crime for which none of the guilty has yet been convicted.� Inmates who had already surrendered to police were shot in their cells. The international fallout from this incident has plagued the prison ever since, and has consistently placed the facility on any “Worst Prison” list, given the lack of regard for human life once a person enters “the system”. The prison is plagued with health problems,, including one of five inmates in the prison’s health wing has been diagnosed with HIV, and prisoners are often denied �luxuries� such as anesthetics for surgery. A movie has been made to document the facility – link here. Carandiru was shut down in 2002, and so is not on the “numbered” list because of no longer being active. Built in 1882, over the course of its 127-year history, Barlinnie has earned a place high on the list of the world’s most infamous jails alongside Alcatraz, the Bangkok Hilton and the Scrubs. A total of 1,000 prisoners live in the 5 cell blocks; over the years there have been 10 official executions by hanging, and plumbing was a bit late to get there, meaning that the in-cell bucket-as-toilet routine known as “slopping out” was still in practice there as late as 2003. However, in the 1880s when the prison was first planned, it promised some improvement to the horrifying conditions in Scotland’s jails at that time, and there is hope that the Scottish government will modernize the jail now for the new century, as recommended in the most recent government review. “wow! what a sok from an american website to have in the 3 top of the list the middle east and north korea�i mean propaganda at its best! Apostolos, your anti-American bias is more than obvious. Nobody who wasn’t a raving, frothing-at-the-mouth America-phobe could possibly think that America’s ADX (where prisoners are kept under strict lock down) was *worse* than North Korea’s Camp 22 (where the guards murder and experiment on new born children). You are an idiot beyond compare and I wipe my a$$ with you. You forgot Fort Santiago in the Philippines. read about it in wikipedia. Thank you! wow! what a sok from an american website to have in the 3 top of the list the middle east and north korea…i mean propaganda at its best! 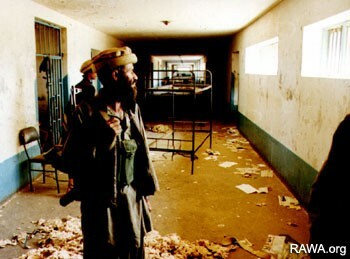 THEY ARE PRISONERS WHO HAVE COMMITTED CRIMES AND DESERVE WORSE!!!! [JohnKraft] Thank you – I appreciate that.